2. Push the switch button forward to absorb trash. 3. Use correspondent suction nozzle accessories according to different occasions. 4. 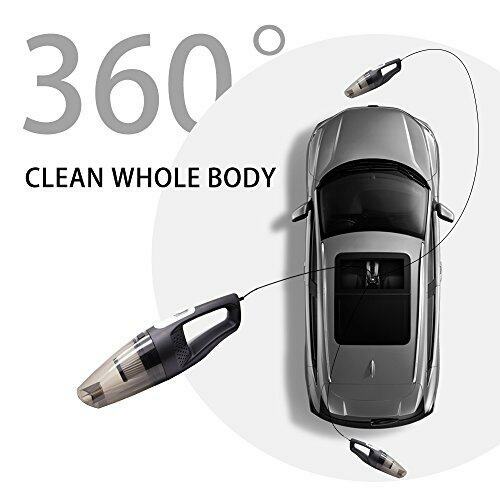 Any locations of the car can be reached with the 16.4ft /5m power cord. 5. It is better to keep the suction nozzle face and absorbed face at a parallel level. 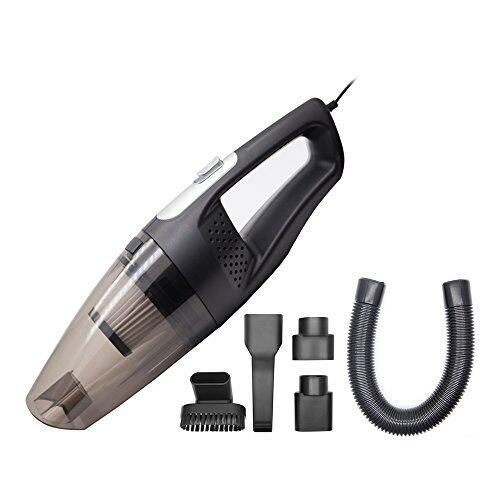 2、This Vacuum is limited to DC12V input,120w. 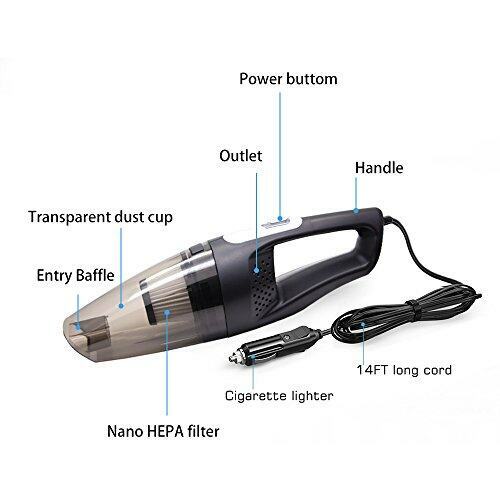 Suction power is stronger than the former vacuum. Please keep children stay away from it 3、To extend service life of cleaner, after continuously running for 30 minutes, you should let it take a break.